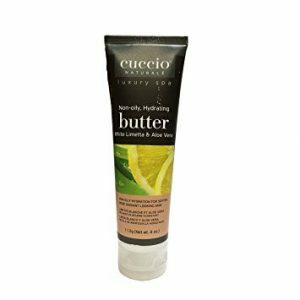 Drench your skin in refreshing moisture with Cuccio Naturale Butter Blends Lemongrass & Lavender. The combination of Lemongrass and Lavender invigorates yet calms skins while imparting intense moisture that lasts 24 hours! Time released emollients and oils nourish parched skin and help to prevent damage caused by free radicals. Pomegranate & Fig Butter & Scrub exfoliates & hydrates at the same time for extra soft, smooth skin. 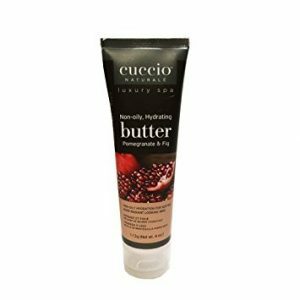 Cuccio Pomegranate & Fig Butter & Scrub is a 24-hour intense hydration scrub with time released emollients for the softest, hydrated “my skin feels amazing” reaction without an oily feel. Pomegranate is nature’s most potent anti-oxidant and infuses moisture into skin. Figs are high in Vitamin A and Beta-carotene for hydrated, smooth and supple skin. 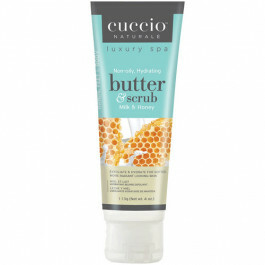 Milk & Honey Butter & Scrub exfoliates & hydrates at the same time for extra soft, smooth skin. 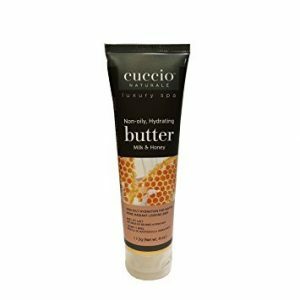 Cuccio Milk & Honey Butter & Scrub is a 24-hour intense hydration scrub with time released emollients for the softest, hydrated “my skin feels amazing” reaction without an oily feel. Milk helps to soothe and soften the skin while honey is a natural humectant. 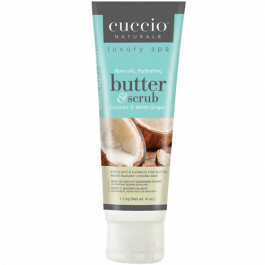 Coconut & White Ginger Butter & Scrub exfoliates & hydrates at the same time for extra soft, smooth skin. 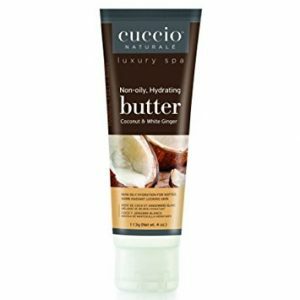 Cuccio Coconut & White Ginger Butter & Scrub is a 24-hour intense hydration scrub with time released emollients for the softest, hydrated “my skin feels amazing” reaction without an oily feel. Coconut and White Ginger is energizing and balancing. 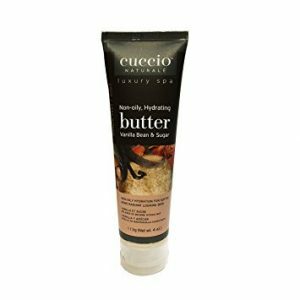 Coconut moisturizes and softens the skin. 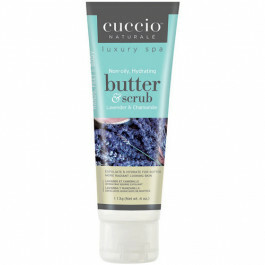 Lavender & Chamomile Butter & Scrub exfoliates & hydrates at the same time for extra soft, smooth skin. 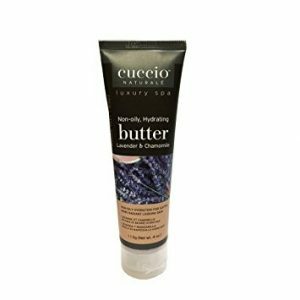 Cuccio Lavender & Chamomile Butter & Scrub is a 24-hour intense hydration scrub with time released emollients for the softest, hydrated “my skin feels amazing” reaction without an oily feel. Lavender is stress relieving and moisturizing while Chamomile is a soothing anti-oxidant and moisturizer.